Here are tips for traveling to Hawaii during the holidays. As the holidays are quickly approaching, many families are planning to go to the mainland to visit family or vice versa, loved ones are planning trips to Hawaii. It’s best to strategically plan ahead to ease the anxiety of traveling during the peak season especially if you have young ones with you. 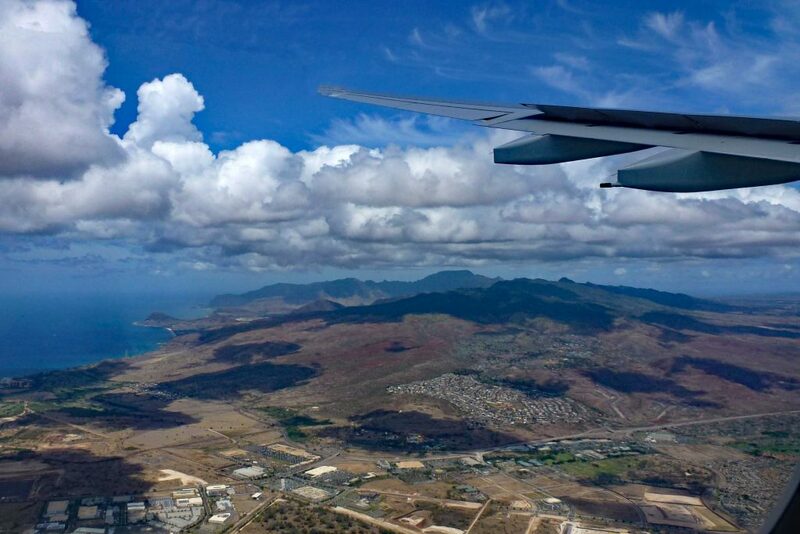 Here are a few tips for traveling to Hawaii that can help. Avoid the rush by not driving or flying on the Wednesday before Thanksgiving or on Christmas Eve, traditionally the heaviest travel days. Consider departing early by plane or car on Thanksgiving or Christmas Day if you can make it to your destination for the heart of the family celebrations. Although less desirable, the actual holiday itself also tends to be the cheapest day to fly. Regional airports come with the conveniences of easier parking and smaller crowds as well as shorter check-in and security lines. These advantages may outweigh any added drive time required to get from the gate to your downtown destination. For example, instead of flying into Boston’s Logan International Airport, consider landing at Manchester Boston Regional in New Hampshire, 50 miles north of Boston. Mail your gifts ahead of time. By doing so, this adds room in your car and can save you money on luggage fees when flying. Just in case your child’s buddy comes along on your trip and he/she gets injured, you will need a copy of his family’s insurance card plus a notarized statement from his parents authorizing you to obtain medical help in case of emergency. Without these documents, the hospital just might make him comfortable until his parents can be contacted. Bring sanitized wipes to disinfect steering wheels, airline trays and plane armrests. You shouldn’t rely only on cellphones when meeting friends or relatives at a destination or airport. Go low-tech. Just in case your phone dies or service isn’t available, develop a Plan B on how to meet up and what to do in case of missed connections. More hours en route means you need extra batteries and battery packs for computers, tablets, smartphones and video games, especially with everyone’s necessity to be high tech. If you traveling with an infant/toddler, pack extra diapers, changes of clothing, food and bottles. Be sure that this “essentials” bag is easily accessible in the car’s front seat (not the trunk) or as an airline carry-on (not as checked luggage). Several hotel chains offer complimentary child-proofing kits that contain outlet covers, corner guards for tables and toilet bowl locks. Think about bringing/purchasing these items to your relatives’ house as well. With curious toddlers, whether at grandma’s or at a resort, child-proof the rooms. At your relatives’ house, move the crystal bowls and the china figurines from the cocktail table to high shelves out of your toddler’s reach. Block the stairs with a baby gate (pack one if needed). Find out what the house rules are at your relative’s house ahead of time and explain these to your kids. Your relative may not allow food to be eaten in the living room or dogs in her dining room, even if your family does. If you have picky kids, don’t expect your relative to prepare special foods just for your kids. Offer to bring or purchase the items your kids need. In addition to these tips for traveling to Hawaii, Panda Travel ® can help you with your travel plans to the Aloha State. Happy Holidays!